For many of us, we have a routine. We go to bed at the same time every night and wake up at the same time every morning. Head off to work; take care of other responsibilities, back to bed when it is bedtime. Rinse and repeat. But does the time that we choose to go to bed and wake up have any effect on our health? It is easy to get into the habit of staying up later than you should. Maybe it’ll just be another half hour to finish a show. Or just a few more minutes to browse social media in case something interesting pops up. Those few extra minutes can often turn into a few hours each night. On the flip side, some adults have advanced sleep phase disorder, which is a circadian rhythm disorder. 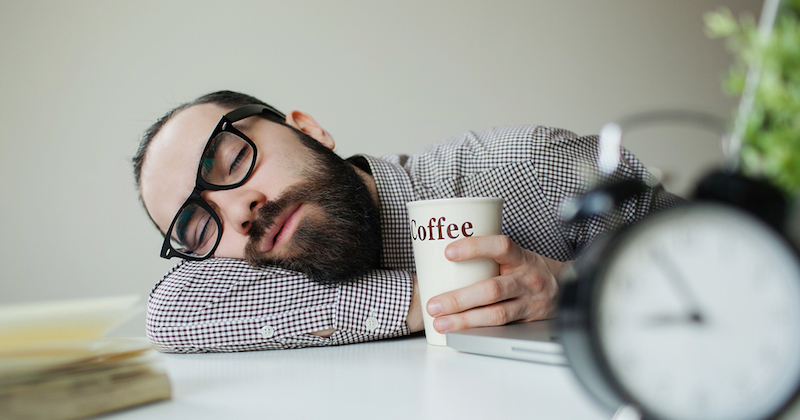 It causes people to have a natural tendency to go to sleep and wake up at times considered earlier than what is normal, according to the American Sleep Association (ASA). These people will often go to bed early, from 6-9 p.m. and wake up early, between 1-5 a.m.
Their counterparts, the night owls, have what the American Sleep Association calls delayed sleep phase syndrome. These people tend to go to bed much later, between 1 and 4 a.m., and wake up much later, between 8 and 11 a.m. Neither of these sleep patterns are unhealthy in of themselves – yes, the early sleepers may be a bit inconvenienced but they can still operate normally in society with those hours. And the night owls are fine too, if this sleep schedule fits their lifestyle. However, there is the rub – if these night owls are still waking up early to go to work or school, it could be harming their health. The time one goes to bed is not nearly as important as the amount of sleep that a person gets. Many people with delayed sleep syndrome will try to catch up on sleep with naps or by sleeping late on weekends. And that does provide some temporary relief, but according to the ASA, long term it just adds to the delayed sleep cycle. A lack of sleep can lead to many health issues, both mental and physical. Some of these health issues include high blood pressure, obesity, and even depression. Stay on schedule If you stick to a schedule, you may be able to regulate your body’s clock. Relax If you often find yourself distracted before bed, discover a relaxing method to calm yourself to add to your bedtime routine. Comfort You are more likely to get a good night of sleep if you are comfortable with your bed, so invest in a mattress that is right for you. Stop napping If you regularly take naps and then find you can’t fall asleep at bed time, try and eliminate the naps from your daily routine. Exercise more Even a light workout during the day can help tire you out by bed time.